A press conference drawing attention to the addition of another name to the list of South Korean civilians detained by North Korea was held at the National Assembly’s Jungron Hall on May 11. The press conference included the participation of the family of a North Korean defector, and a tearful reading of a petition to be delivered to South Korean President Moon Jae In. Choi worked as a journalist specialising in North Korea at Daily NK from 2011. He is thought to have been abducted by North Korean Ministry of State Security agents in May 2017 while on the North Korea-Chinese border investigating a story. The UN Committee on Enforced Disappearances was also informed about the situation and the committee asked the North Korean government to confirm whether Choi was detained there. 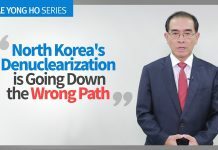 There was concern, however, that any public reference to efforts focused on his repatriation would negatively affect Choi’s circumstances in North Korea. Such public efforts could worsen his sentence or even lead to his execution, potentially reducing his chances of escaping from North Korea on his own volition. His family requested that efforts to save him be made quietly and Daily NK agreed to do this. The improvement in inter-Korean relations has raised the possibility that the South Korean government will make greater efforts to repatriate South Koreans detained in the North. Member of the National Assembly Ha Tae Keung publicly mentioned Choi’s case. Daily NK proposed that the change in inter-Korean relations would make it more helpful to call attention to Choi’s case and his wife agreed. For this reason, the press conference was held. 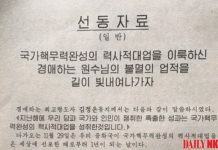 Daily NK demands that Choi be included in any request to North Korea by the South Korean government in regards to the repatriation of South Korean citizens detained in the country. We can only hope Choi and all other illegally detained South Korean citizens can return to their families as quickly as possible.